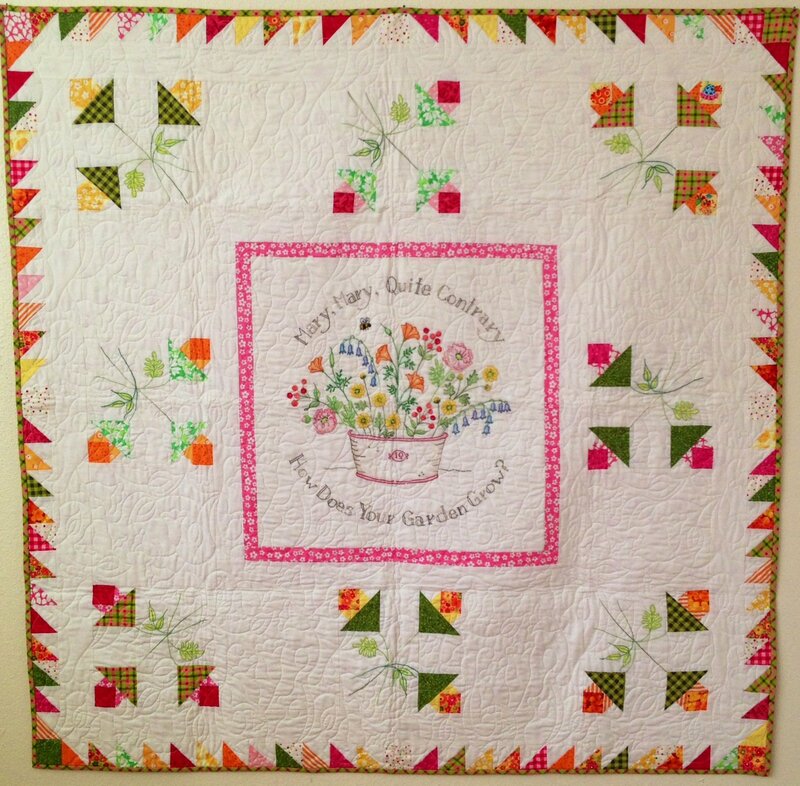 Quilt Kits > How Does Your Garden Grow? This Crabapple Hill original quilt is a delightful addition to any collection. This kit includes the pattern, fabric for piecing flowers and binding. The background is not included (we thought most of you would have a good white you could use a your background. If you need white fabric for background, just give us a call!). *Backing fabric not included.